1-min. 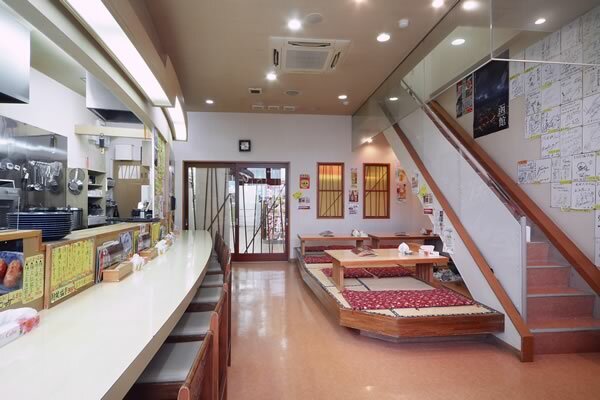 walk from JR Hakodate Station! 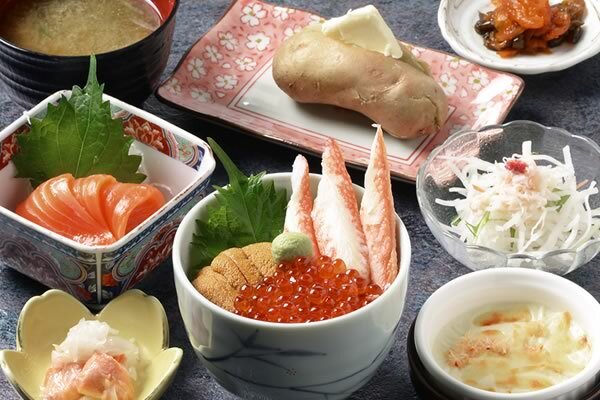 To savor the delicious taste of Hakodate, head to Donburi Yokocho. 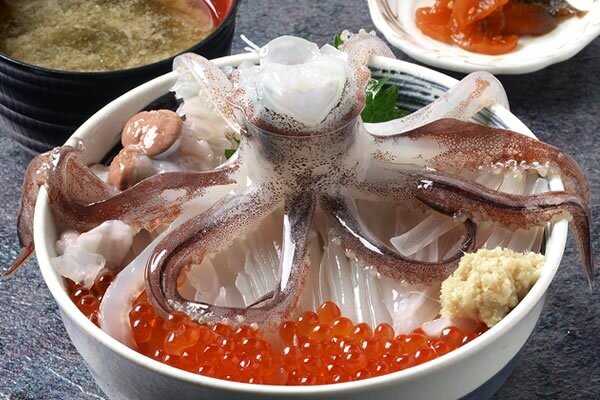 Live squid caught in waters off the Hakodate coast swim in tanks inside the shop, before being selected and prepared for eating. The transparent flesh, sweet taste and firm texture is unique to live squid. 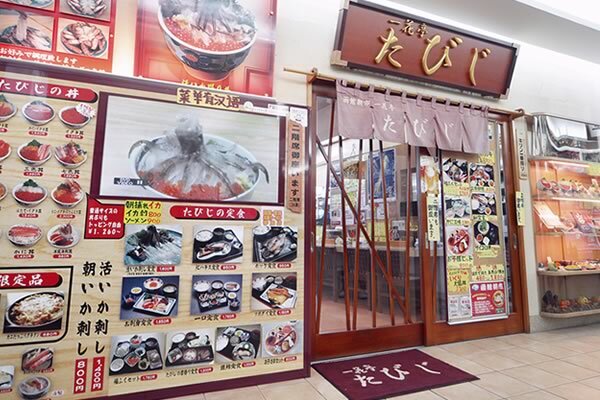 Try the visually dramatic live squid odori-don in which the live squid "dance" on top of the rice. Menu includes lots of other original dishes. Hakodate morning Market First Commercial Cooperative Association.